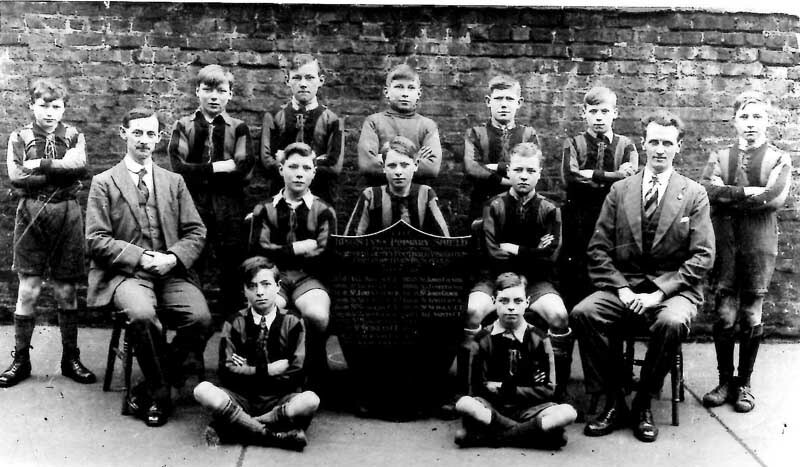 I think it is All Saints CE school football team from a period between 1927 to 1929. The Shield is the Kings Lynn Primary Shield but I am unable to read the dates on the shield. That picture has been posted before by "Roger" with the same request.